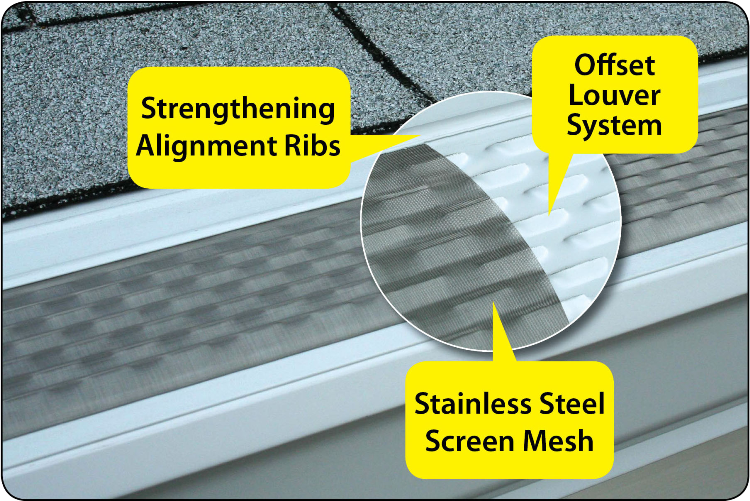 DuraShield Gutter Protection features an offset louver system – engineered to draw rainwater in, while preventing leaves and debris from entering. Even tiny particles, such as shingle grit is impermeable to the screen-mesh! Additionally, the convex screen design readily sheds debris; this critical design feature sustains performance and keeps gutters free flowing. Proudly made in the USA, DuraShield Gutter Protection is tested to meet the highest quality of standards. Sit down with one of our trained and knowledgeable staff members to discuss your gutter protection options. They will help you with the entire process from start to finish. They will even make installation easy too. Contact Streamline Enterprises to discuss adding a DuraShield gutter protection system to your home.